That didn't take long. Just four days after becoming an instant folk hero after asking a question during Sunday's town-hall presidential debate, Ken Bone has appeared in his first ad. For Uber! The red-sweater-wearing Belleville, Ill., resident tweeted out a link Thursday to uberSELECT, the high-end car service (featuring rides in BMWs, Lexuses and more) that has just arrived in his fair Midwestern city. In fact, as Uber explains on its website, Bone—who describes himself on Twitter (where he already has more than 200,000 followers) as a "somewhat reluctant, undecided, cuddly internet political faceman! "—took the first-ever uberSELECT ride in St. Louis this morning. 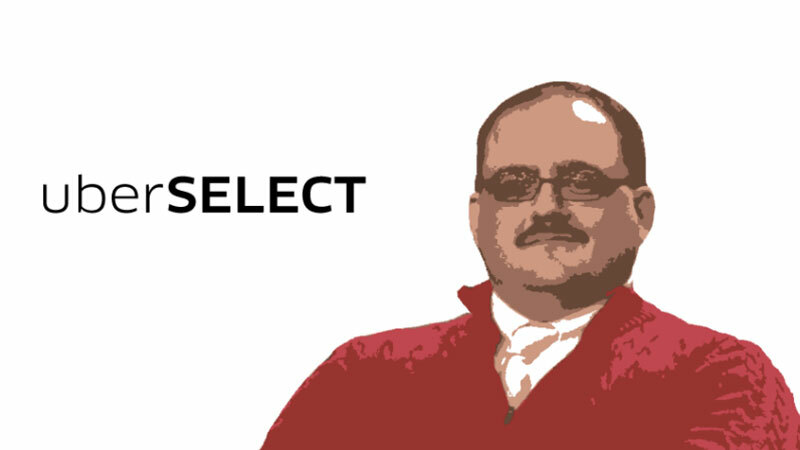 "Ken Bone has decided… and he's chosen uberSELECT!" the brand says, in a nod to his undecided-voter status, which is what got him into the debate in the first place. Fashion advertisers, shame on you all for not throwing him a Bone first.